According to last year’s marketing stats, here’s what to expect for the 2019 marketing forecast. Inbound marketing is like eating a wrap instead of a sandwich: although the foods look very different from one another, they taste similar and achieve the same goal. Are we suggesting to eat a wrap instead of a sandwich? No, but it may be time to start re-thinking your marketing approach to avoid getting lost in the Subways of the world. Inbound marketing is our secret sauce here at TANK New Media; it’s about working “smarter” and not “harder.” We know it works because we have the numbers and stats to prove it. Generating interest online through search and social campaigns is what’s trending, so why not develop a strategy? There are aspects of traditional marketing that still work, but we’re seeing a decline in cold-calling, print advertising, outdoor billboards, television commercials, and so forth. So, how does this all relate to HubSpot? Well, without HubSpot, it would be challenging to implement a top-notch inbound strategy. 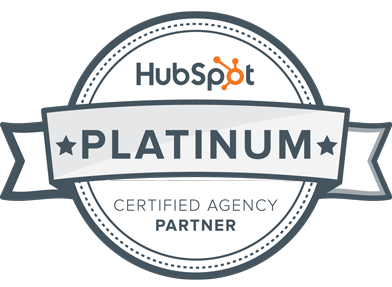 At TANK New Media, we’re a committed Platinum HubSpot Agency Partner and regularly lean on HubSpot’s expertise for marketing industry data, trends, and reports to help guide our business for the success of our clients. Every year they release an official Inbound marketing evaluation and forecast called State of Inbound. Here are some staggering stats and a few key highlights from the most this recent report. 53% of marketers revealed that Inbound marketing gives a higher ROI than outbound marketing while 18% were unable to calculate their ROI. With Inbound you can track results, analyze the data, and predict results based on efforts being made. Many are investing in video channels; 45% of which are using YouTube, 43% using LinkedIn, 41% using Facebook, and 39% using Instagram. Social networks are dominate in promoting interactive video which captures new leads and charms existing customers. When asked, “What part of the sales process to reps struggle with most?” 37% claim that prospecting was the biggest obstacle in 2018. Prospecting has become more technical. 35% of sales representatives claim they spend anywhere from 30-60 minutes a day entering data. When making a buying decision, hearing from other buyers is critical. 55% state that they rely on word of mouth before making a purchase. Potential buyers want to hear from others who have made the same purchase and learn what’s expected during the sales process. Businesses run on email. 83% prefer to communicate through email for business purposes. Is this because we are running scarce on time or because we’re becoming more efficient with our communication? Email is the preferred communication medium for senior staff members. 82% of C-level executives prefer email and 78% of VP’s do, too. 83% of managers are privy to email, and 85% of individual contributors most certainly choose email over other forms of communication. The top 3 marketing challenges in 2018 include generating traffic and leads (62%), proving the ROI of our marketing activities (46%), and securing a large enough budget (25%). The top 3 sales challenges in 2018 include getting a response from prospects (46%), connecting via phone (42%), and engaging multiple decision makers at a company in the buying process (28%). The purpose of marketing and sales is to generate more traffic, leads, and customers, right? While the overall goal of marketing remains the same, our approach has to evolve with today’s buyer behaviors. Every year HubSpot's research team spends countless hours surveying, calculating, and reporting the global impact of the Inbound Marketing methodology. 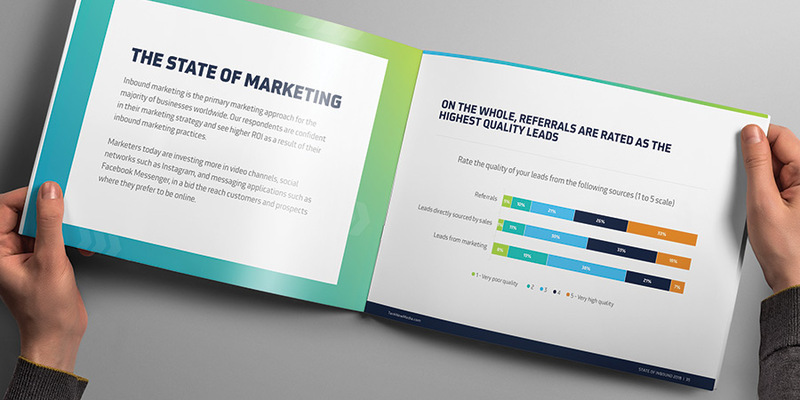 This year’s report will give you the data you need to benchmark your activities against our 6,000+ respondents while also giving you insight to plan your future marketing and sales strategies. Plus, it will help your business stay up-to-date on all the marketing and sales changes that matter the most so that they can create adapt and overcome. 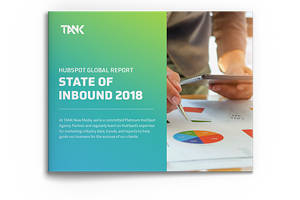 Treat the HubSpot’s State of Inbound Report as a guide to help you obtain the marketing strategy you’ve been dying to implement for 2019. This report should help you determine where your priorities are and where they should be for a growth-driven future. It’s safe to say that communication, across the board, is changing. Therefore, our approach as marketers has to change, too. Download the full report to see more stats, dig deeper into important issues, and glean more information that could change the way you are currently conducting business. 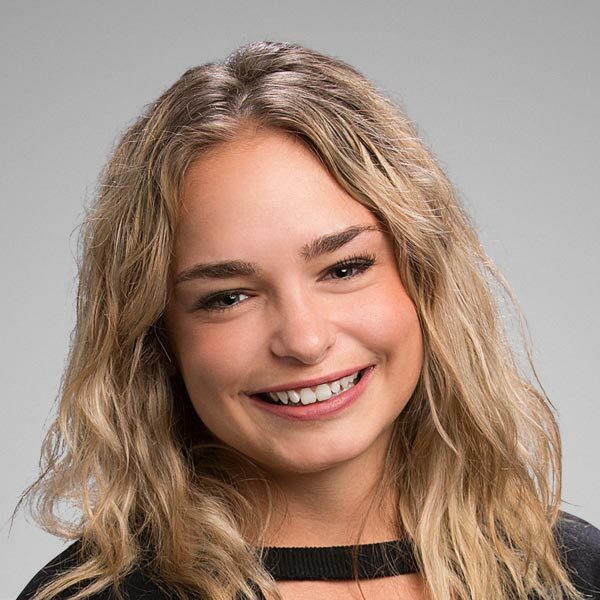 Even if you're not interested in HubSpot's Inbound Marketing methodology specifically, the content in this report is still insightful and provides a lens from which you can evaluate your own business practices. Looking for a marketing agency to implement Inbound Marketing for your company? Learn about our Inbound Marketing Services.